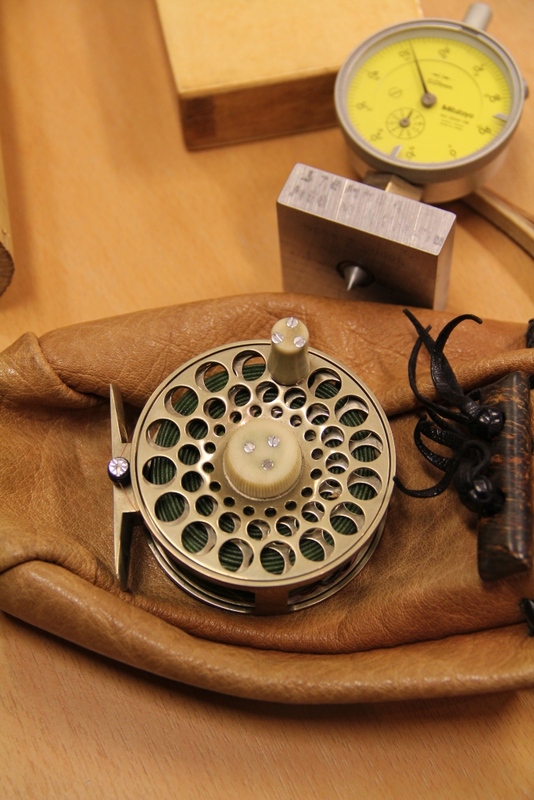 This reel is designed and crafted by Jostein. 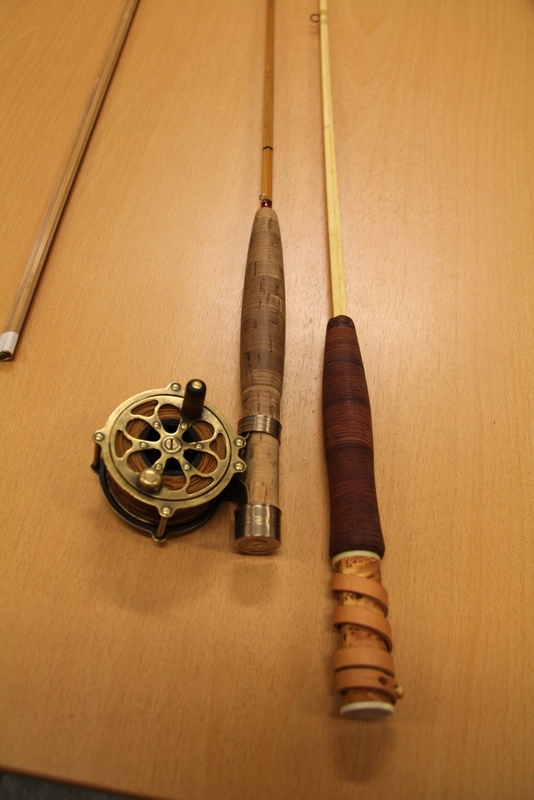 The rod to the right is an imaginary fly rod. 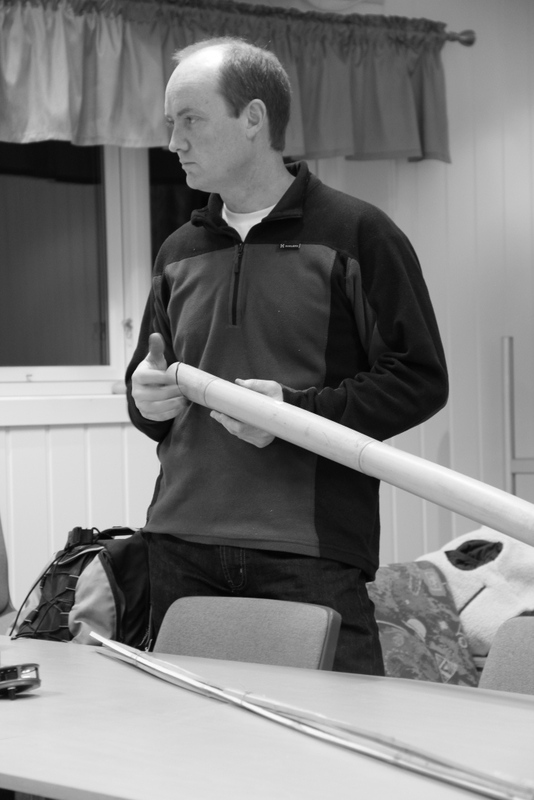 Josteins idea is that if one were to make a fly rod in Norway a thousands years ago,with the materials available this would be it. 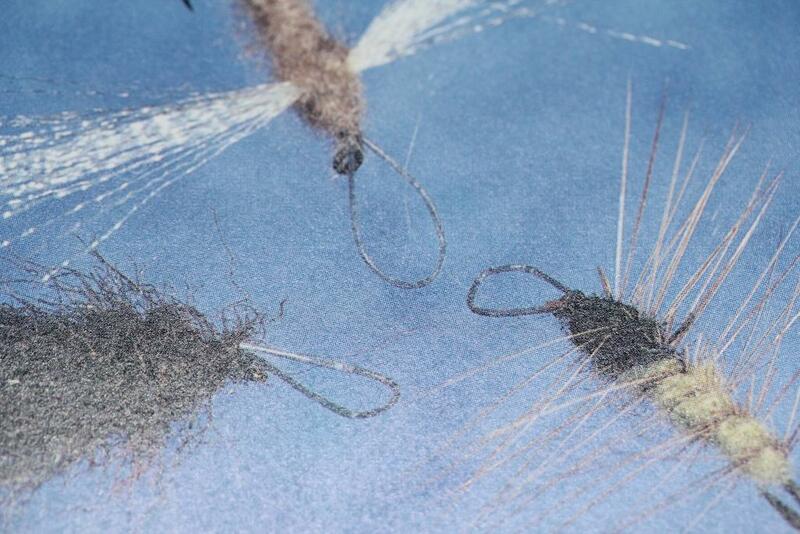 This image is part of a series on fly fishing and fly tying that Staffan Lindstrøm produced some years ago. I will present some more of them in later posts. 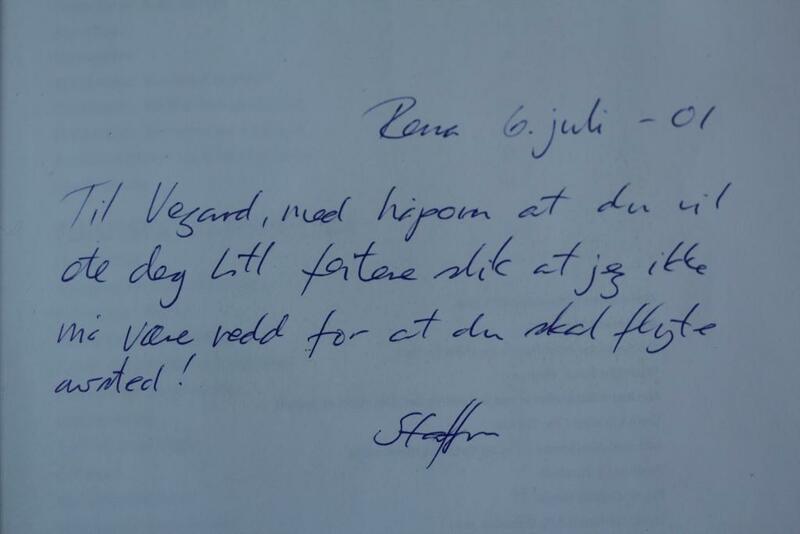 By kind permission of my friend Staffan Lindstrøm I will present, in random posts, some of his flies and try to share some of his ideas with you all. 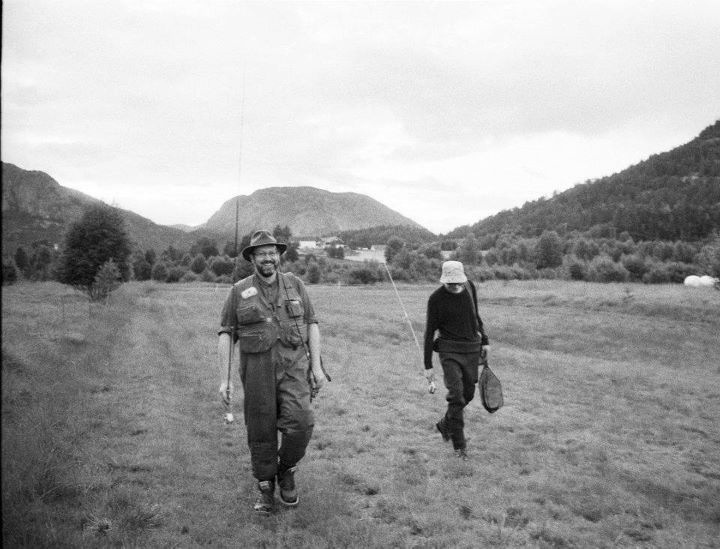 To me personally, he is definately one of the most influential tyers when it comes to creativity, discovering new materials and fly fishing philosophy. 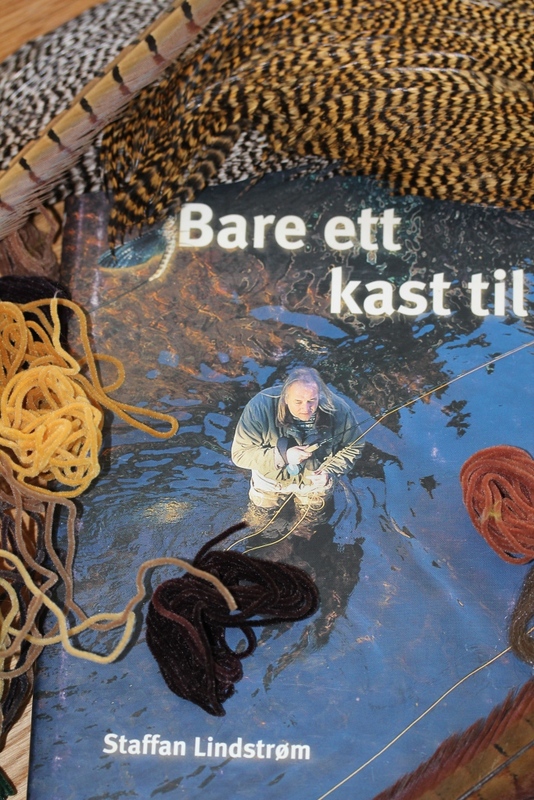 The photo shows him on the cover of his book “Bare ett kast til”. The book was published in 2001 and it represents what he stood for at the time, and still does…simplicity rules! Back in his early days he created very realistic flies. He even painted the nerves on mayfly wings. 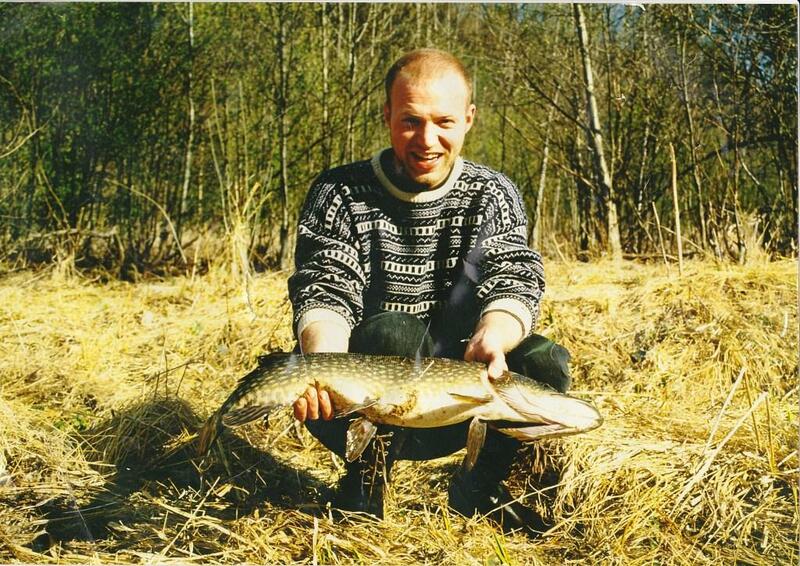 This is a picture of my friend,Marius,holding what I think was his first pike on the fly. 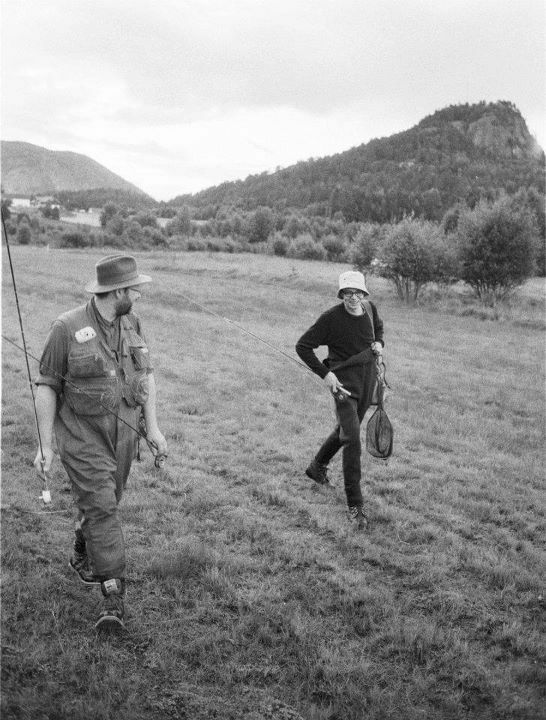 The photo was taken sometime in the (early) 90´s. The fish was somewhere around 6 kg. 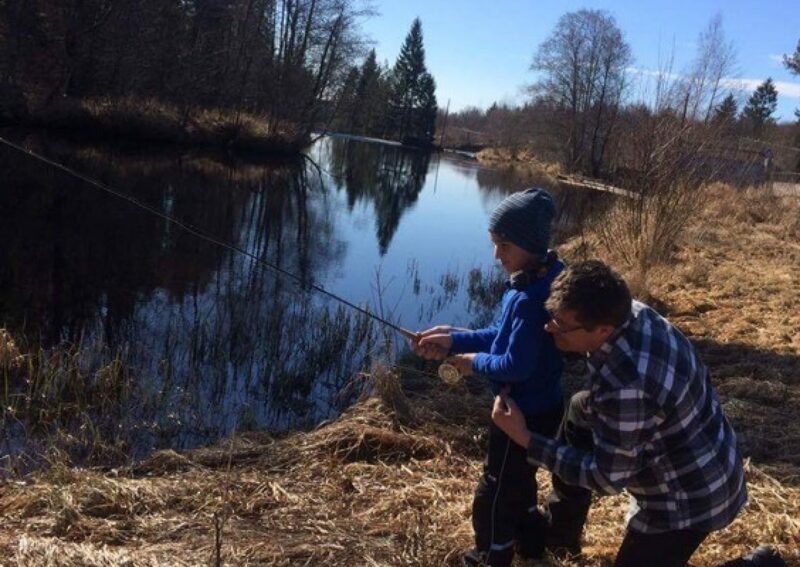 He caught it on an old and very slow action 5 -weight rod if I remember correctly. We fished a local river called Falkumelva,it is a beautiful slow-flowing river not far from my home. lots of aquatic vegetation and nice surroundings. A classic photo taken with Olympus OM1. The following fly is also a classic. 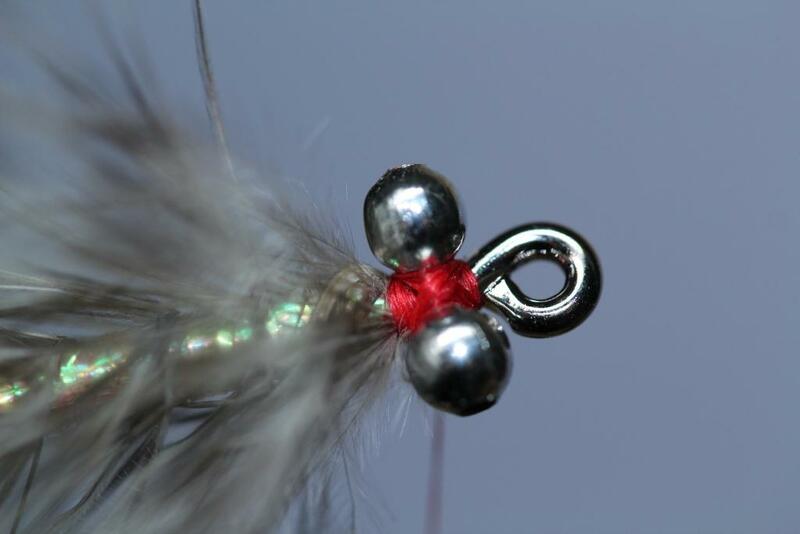 It was among the very first flies I used when fishing for pike,and it fooled many fish. This is a bit different from the original design. The pattern was first tied by an old colleague and friend named Per Rune. He originally used white strung marabou for the tail. 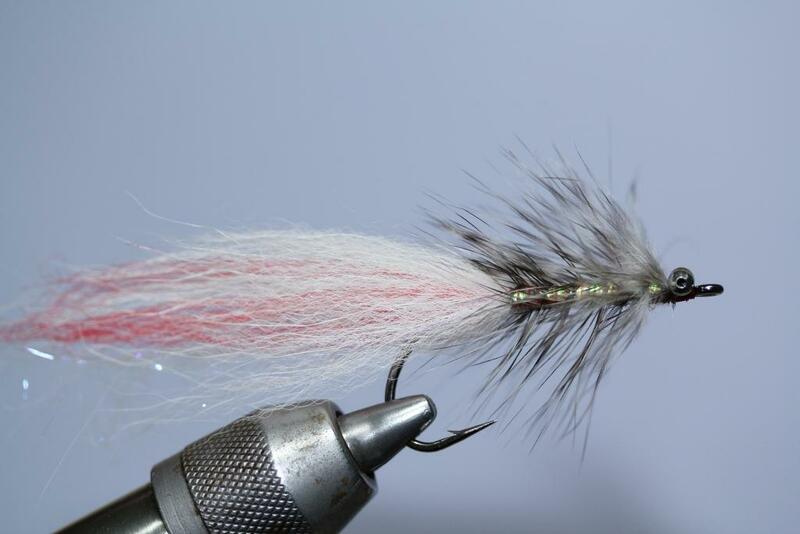 In this the marabou is replaced by bucktail and arctic fox. I find it to be much more durable. 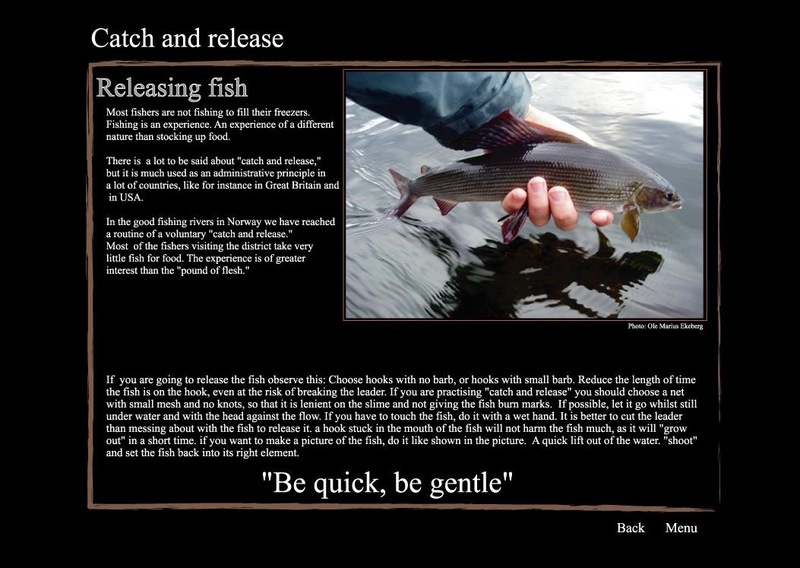 This fly can be made stronger all the way through by tying in a monofilament rib and securing with some sort of glue. 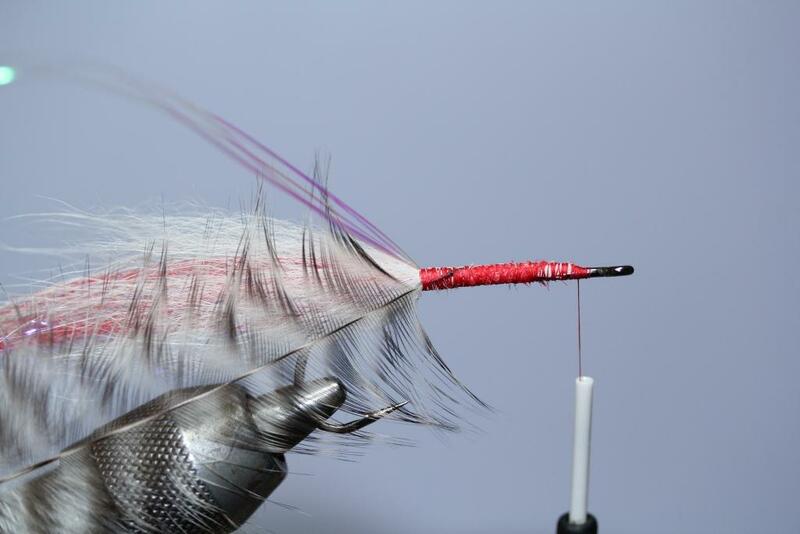 It is also easy and cheap to tie and that makes it both a good pike fly and a good beginner´s tie. 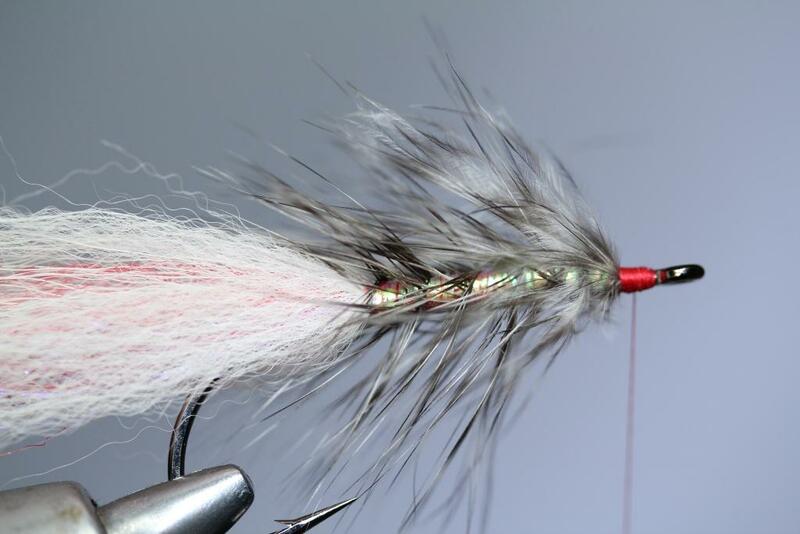 Tie in some white bucktail as a tail. On this one I used red Nearnuff synthetics to add color. I also use a little bit of pearl flashabou,but not much. The fish in most local waters does not seem to like to much flash. Tie in the largest grizzly feather you can find. Do not cut anything from the feather. Then tie in some pearl flash for the body. At this point the fly can be reinforced with glue or varnish. This is also where to tie in the mono (3x/4x) for the ribbing. Then wind the flash roughly up to the eye of the hook. After this,wind the grizzly feather in palmer-style. 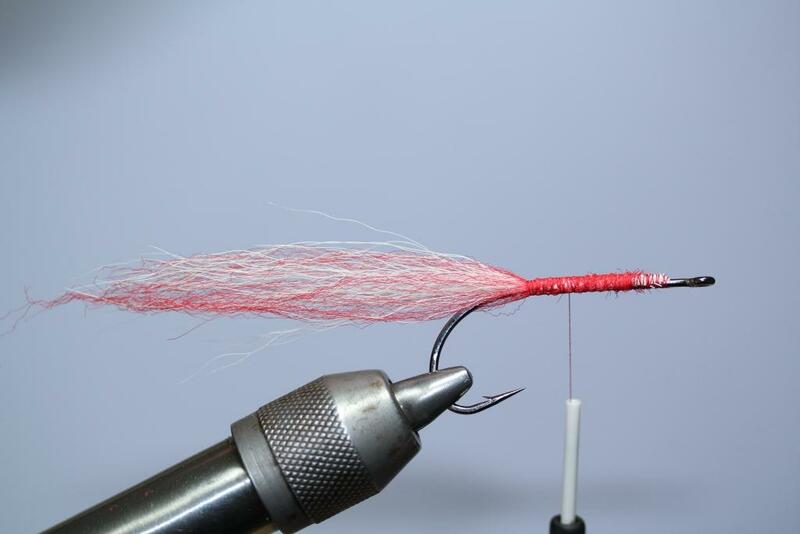 Start building up a head using red tying thread,and remember to leave room for the eyes. Secure the bead-chain with lots of thread.